I wrote a blog post on December 16, 2014 titled, Freedom for One, Citizenship for the Other, Two Signatures 235 Years Apart. In it, I share how a series of events in my family’s Louisiana colonial past brought three individuals — an enslaved woman of color named Agnes, a white French national named Mathieu Devaux dit Platillo, and the Spanish colonial Governor of Louisiana, Bernardo de Galvez — together in the cause of freedom and independence. Both Devaux and Galvez have been recognized as patriots of the American Revolution for their contributions as soldiers in the cause for America’s freedom from Great Britain. You can see the story played out in a segment of the PBS programs History Detectives titled see here the Galvez Papers. Their lives and historic actions have forever changed my awareness about knowing and claiming my family’s history. With the stroke of two penned signatures, history was made: Freedom was granted to Agnes on December 16, 1779 by Bernardo de Galvez, and 235 years later, on December 16, 2014, citizenship was granted (posthumously) to Galvez himself by President Barack Obama, an amazing connection of which my family and I can forever be proud. As we approach the 120th anniversary of the landmark U.S. Supreme Court case, Plessy v. Ferguson, a concerted effort is being waged to acknowledge his long overdue impact on the American Civil Rights Movement. In 1892, Homer Plessy, a fair-skinned, mixed-race man of color, was arrested in New Orleans, LA for taking a seat in a train car designated for white passengers only, despite the fact that he had paid for a first-class ticket. How interesting that a man of mixed race would be treated in such a way. 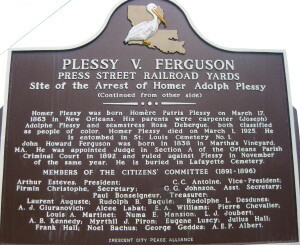 What would have happened if the train conductor and the whites who opposed him had known then that Plessy is the descendant of Agnes (mentioned above), a formerly enslaved Afro-Creole woman who fought in court and gained her Freedom, and Mathieu Devaux, a Frenchman and patriot of the American Revolution who fought for America’s freedom well before the Louisiana Purchase in 1803 and statehood in 1812? Would he still have been denied his full rights and privileges as an American citizen under the constitution of the United States? Long before the modern Civil Rights Era, Plessy and the Citizens Committee, with whom he planned the event, made history. Yet because the Supreme Court case was not decided in his favor, Plessy has since stood as a scar in the struggle for civil rights for all people in America. 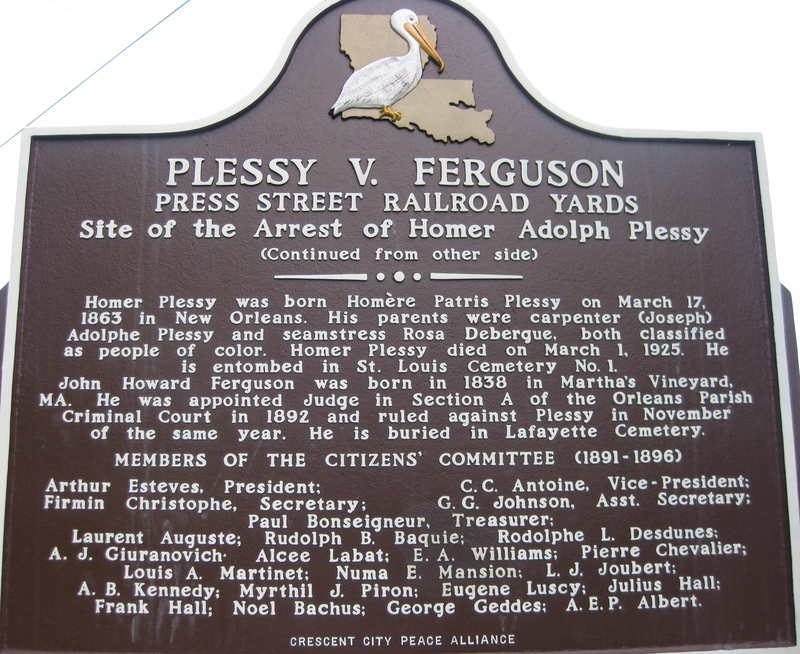 Homer A. Plessy has never been officially acknowledged for his sacrifice on the altar of freedom. Those who know the truth of Plessy’s actions, look upon him as a figure of immense historical importance. The time is now for all of us to acknowledge his rightful place in the history of American Civil Rights. See here to learn more about the Plessy v Ferguson case.